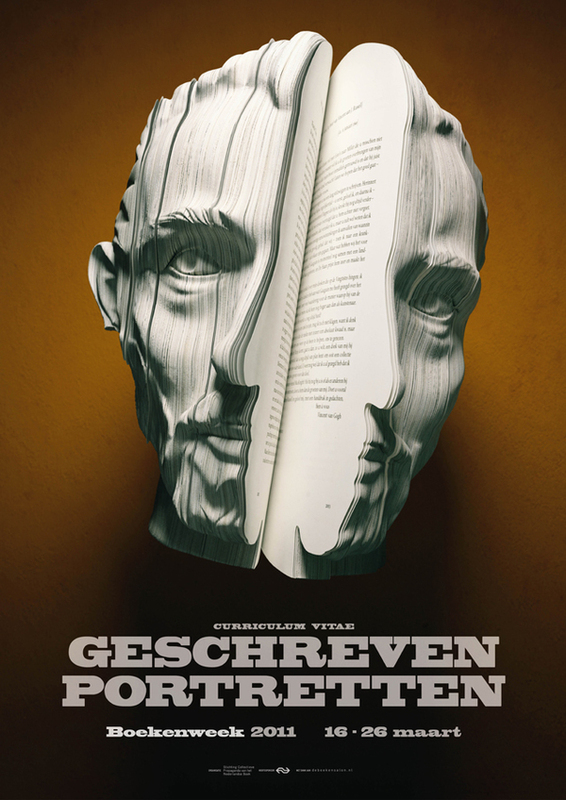 Remember those clever posters for the Colsubsido Book Exchange? Well, they have some serious competition. 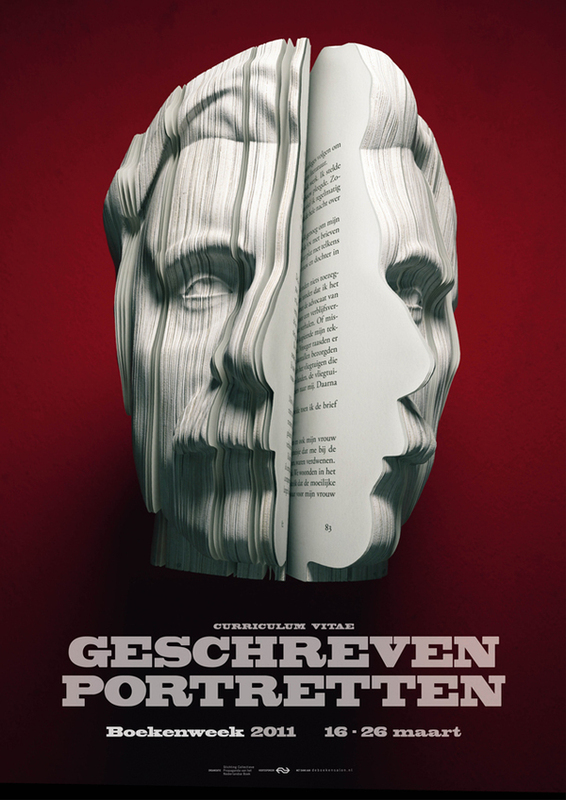 To promote Dutch Book Week, digital artist Raphael Dahan and Amsterdam advertising firm Van Wanten Etcetera created these posters playing off the theme of the biography. 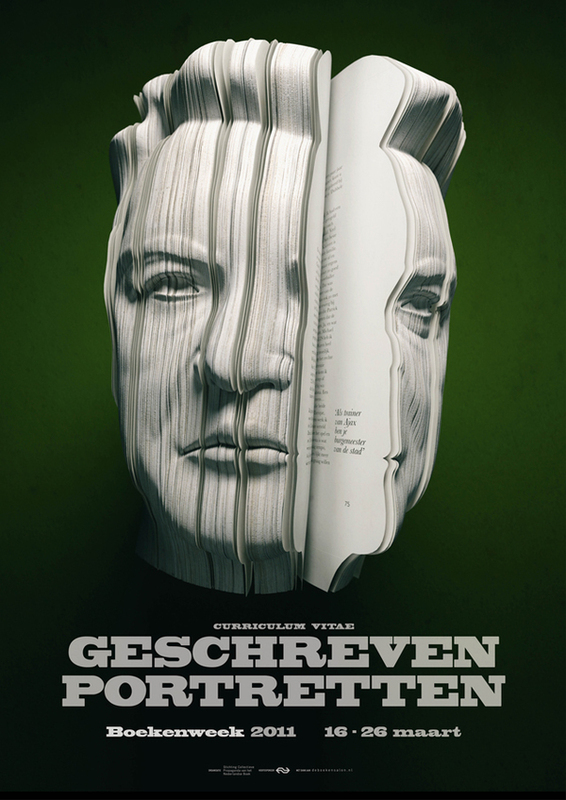 If you speak Dutch, look closely: Each book contains the biography or autobiography of the person depicted. 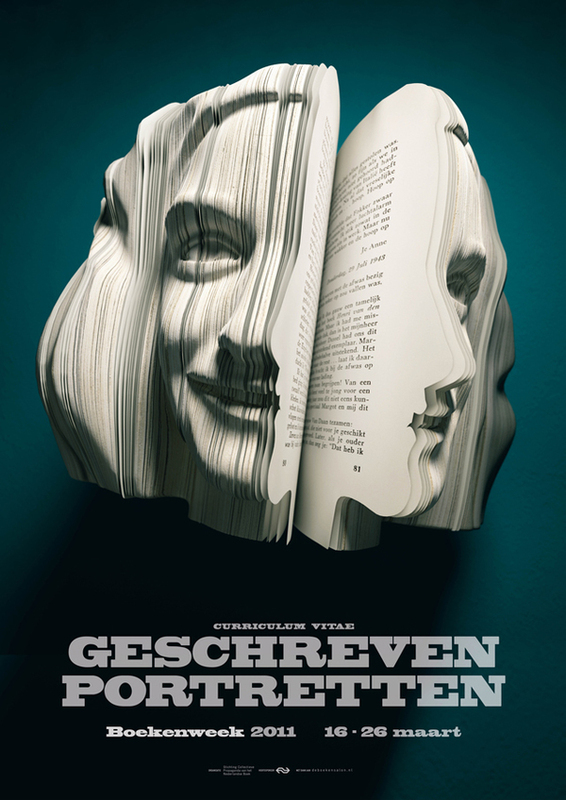 Wow, this is just a bit too cool love the concept! um, these are AMAZING! i would love to hold a man's face while reading about him! ha!